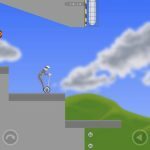 Jim Bonacci’s Happy Wheels is an iOS version of the popular browser game where the deaths your characters go through are anything but happy. According to the story of the game, your racer is “inadequately prepared,” or, in other words, thoroughly incompetent at what he does. 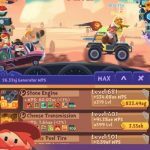 It is your job to make your racer look competent enough as he avoids a variety of deadly obstacles, including spikes, mines, wrecking balls, harpoons, and many more. There are 15 levels available, not including the ones you can create in the editor, and overall, the game does boast of some impressive physics. We’ve already given you some Happy Wheels tips and tricks, and now we’ve got more to share with you, as we walk you through the ways you can unlock all the available characters apart from the stock character Business Guy. There’s a neat little trick involving the level editor that would allow you to play as all of the available characters. Create your own level using the editor, or play the example level by tapping on the pause button and then tapping on “Load Stage.” You’ll be able to play an example level as promised, but you may need to make some edits here and there to ensure you can play it. If you’re not the only one in your circle of friends who plays Happy Wheels, then you can always ask them to send you one of their own created levels. That’s the only way you can do it for now, as Jim Bonacci has yet to roll out the next Happy Wheels update, which would allow you to post levels in public. Load the level of your choice and you can choose from the following characters apart from Business Guy – Irresponsible Dad, Effective Shopper, Moped Couple, and Wheelchair Guy. There is only one level at the moment where you can play as all available characters, but the caveat here is that you can only do that once you’ve beaten all the stock levels (all 15 of them) with Business Guy. After acing every level with the default character, go to the extreme right and head to the Select Your Character area, where you can then choose the character you want to play as. As you may have noticed, there’s a lot to do if you want to play as someone other than Business Guy, but the first update should be coming soon. 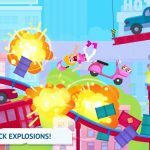 Jim Bonacci has confirmed that Irresponsible Dad and Wheelchair Guy will be the next characters to debut on Happy Wheels. Next up would be Moped Couple, Effective Shopper, and Pogo Stick Guy. 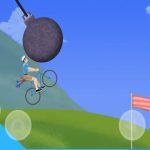 You’ll need to be a bit patient, but if you really want to see what all the hype is about, you can always play the browser version of Happy Wheels, where everyone is available to use.